Improve work efficiecy with powerful functions. Print multiple copies of the calculation history without re-inputting data. It is possible to print later even in print off mode. 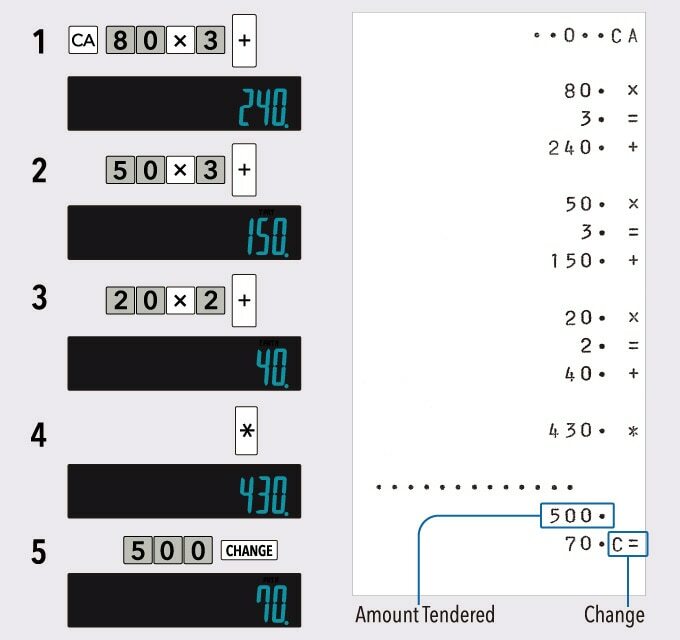 Allows easy caluclation of payment amount and change. 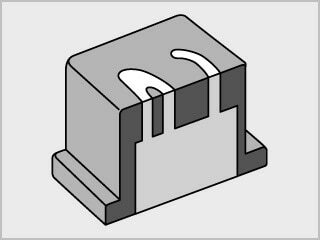 25 keys, including numeric and arithmetic keys, are produced by injecting plastic of two different colors. The markings of the 25 keys are plastic, which means they do not wear or fade with use. Press the TIME key to display current time and date. Print multiple copies of the calculation history without re-inputing data. 4.4 line-per-second printingThe value indicates the number of lines printed per second. 2-color printingPositive values are shown in black, and negative values are shown in red for easy checking. Change functionEasily calculates payment amount and change. 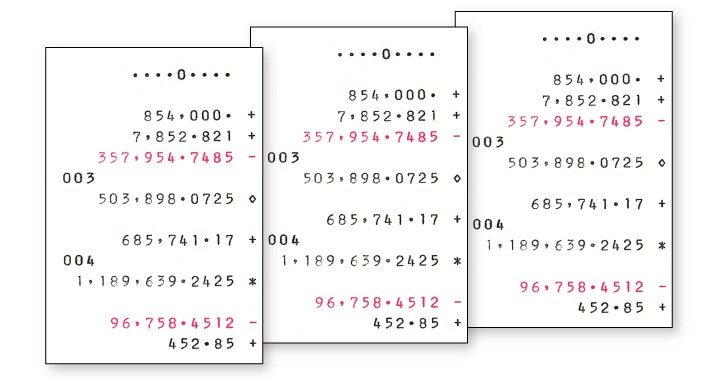 Reprint / After PrintPrint multiple copies of the calculation history. / Print the calculation history later even in print off mode. Line printingLine printing for higher speed, superior print quality, and quieter operation. Tax calculationAutomatic calculation of price plus tax, price less tax, discount, selling price, tax amount, discount amount, and margin amount. Cost/Sell/MarginCalculate the cost, selling price, or margin of profit on an item, given the other two values. 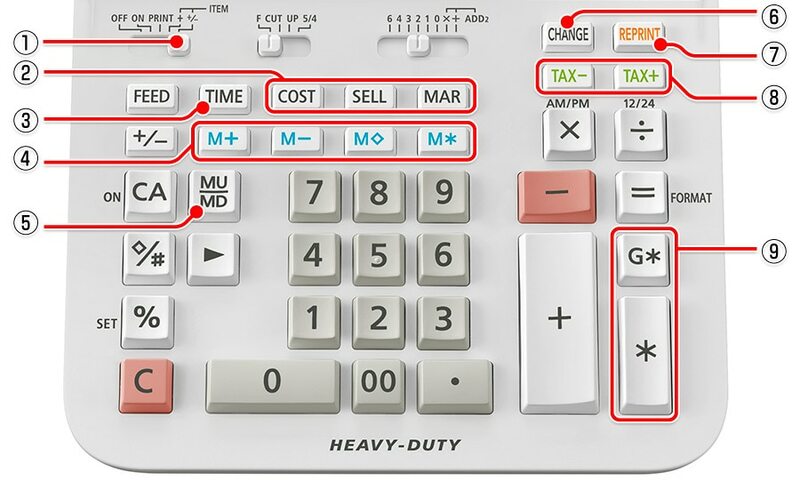 Mark-up/Mark-downAll the mark-up/mark-down capabilities of an adding machine for simplified cost and profit calculations. Durable Anti-fade KeysKeys are produced by injecting plastic of two different colors. Key markings are plastic, which means they do not wear or fade with use.